Use an electric mixer to beat all the ingredients into a smooth dough. 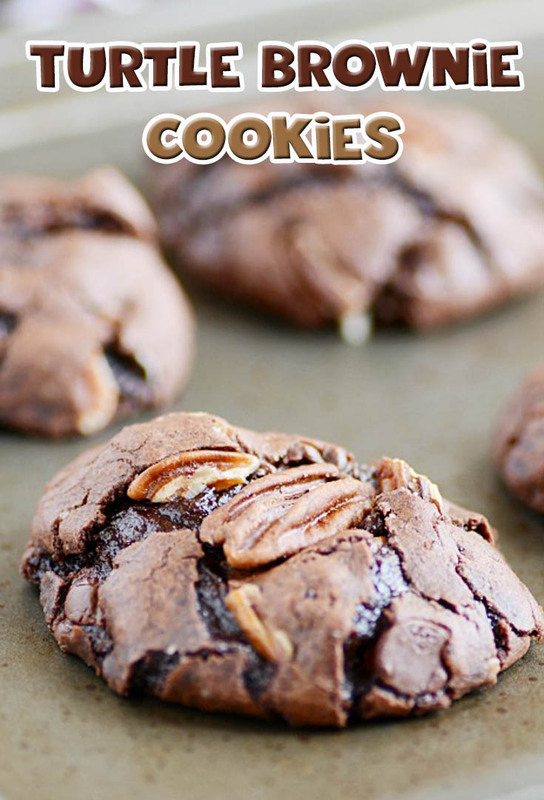 Fold in the chocolate chips and pecans. Roll two tablespoons of dough at a time into mounds and then flatten in your palm. Place a slightly flattened Kraft Caramel in the center and wrap the cookie dough around it. Place on an ungreased cookie sheet. Keep dough about 2 inches apart. Remove from oven and give cookie sheet a light tap on the top of the oven or counter top to release some air from the cookies (which creates those nice crackly tops). Add pecan halves on top as garnish if desired. Let cool for 2-3 minutes on baking sheet before transferring to a wire rack. These cookies are very best warm, while the caramel center is still soft!